A few days back (they're all a blur at this point), we stopped off for lunch in Oshkosh, Wisconsin. We probably would have stopped there, quilt shop or no quilt shop, just so we could say, "Hey, we're in Oshkosh, by gosh!" Love that name. 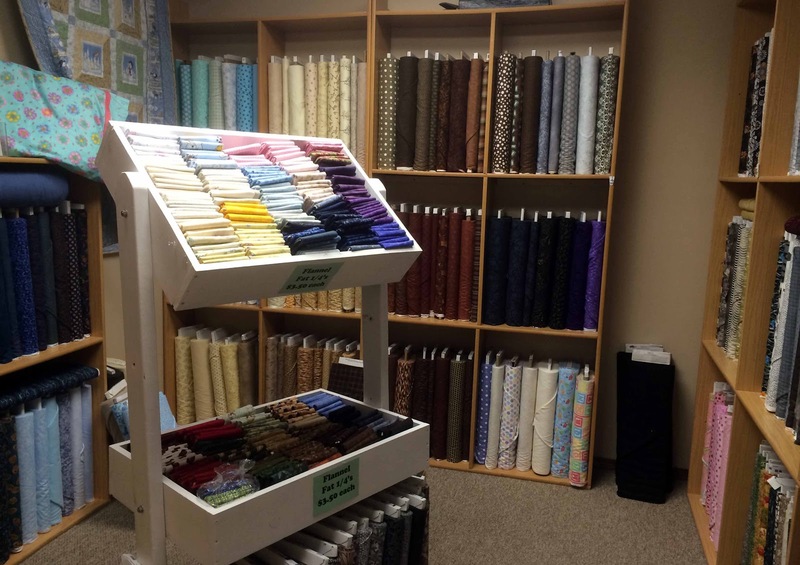 It was just a happy accident that there happened to be a quilt shop in Oshkosh. Oshkosh, Oshkosh, Oshkosh...I might say it a few more times before this post is over. The owner, Mary, couldn't have been more friendly. I really enjoyed visiting her shop and meeting her. Here's her business card. She has a website, but explained that she doesn't do a web-based business. 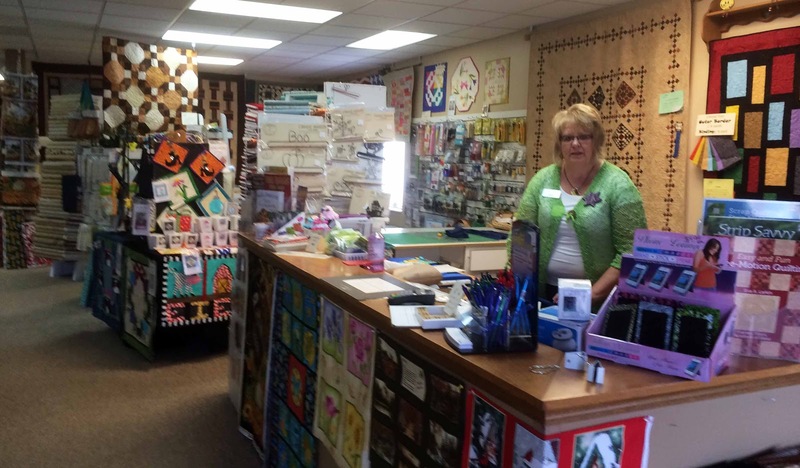 In addition to her quilt shop, she also has a long-arm quilting business. 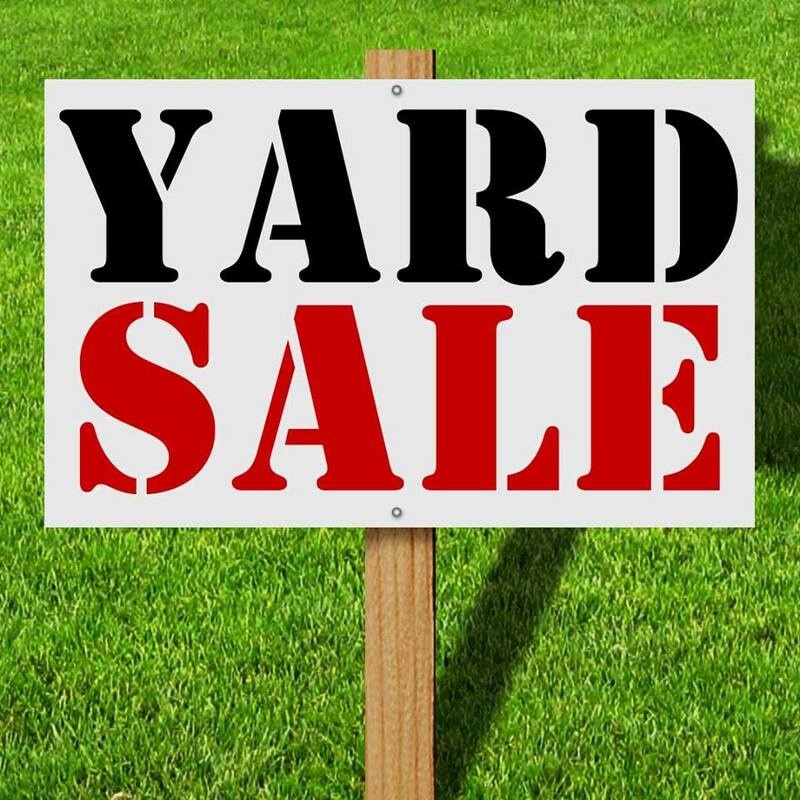 The store is in a small strip mall with easy access from the interstate and a nice big parking lot, which is always appreciated when we are towing our rig. Mike and the kitties enjoyed lunch and a nap while I enjoyed the quilt shop. Here's how the store looks as you walk through the front door. That's Mary standing there. Check out these polka dots! Polka dots always put me in a good mood right from the get-go. 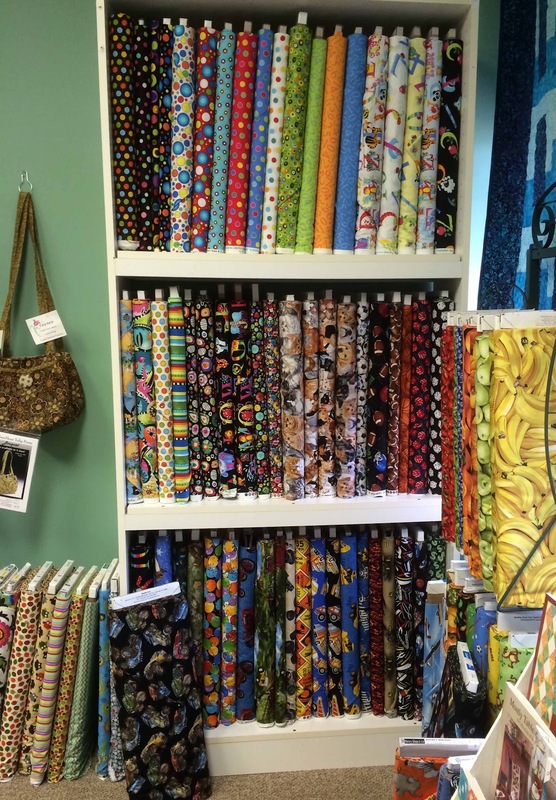 She had an entire room filled with the most beautiful batiks. Step around those displays, and there were more batiks. This shop had something for everyone's taste. 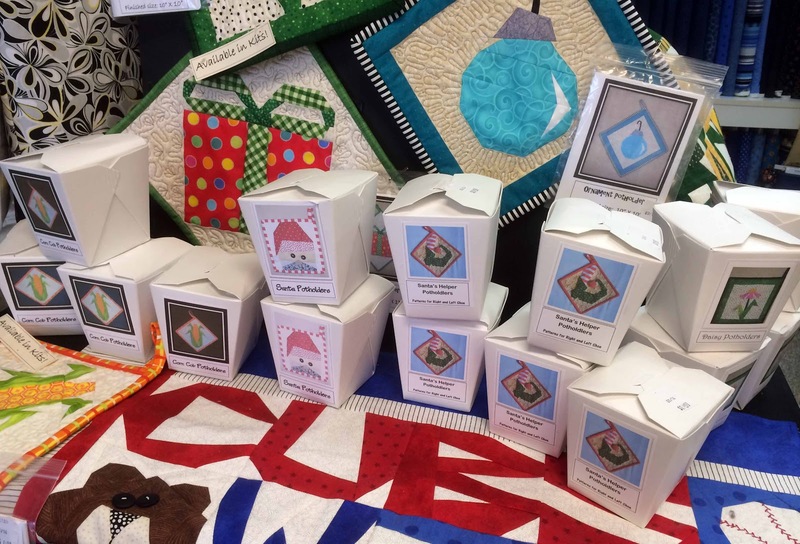 She made sure I noticed these little potholder kits. They were so cute packaged in to-go boxes. 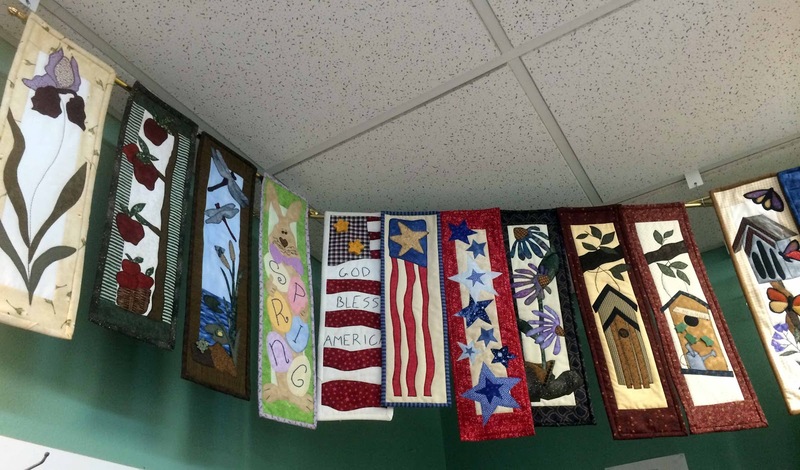 They were created by a local designer, Made By Marney. It seems Marney is a retired art instructor. 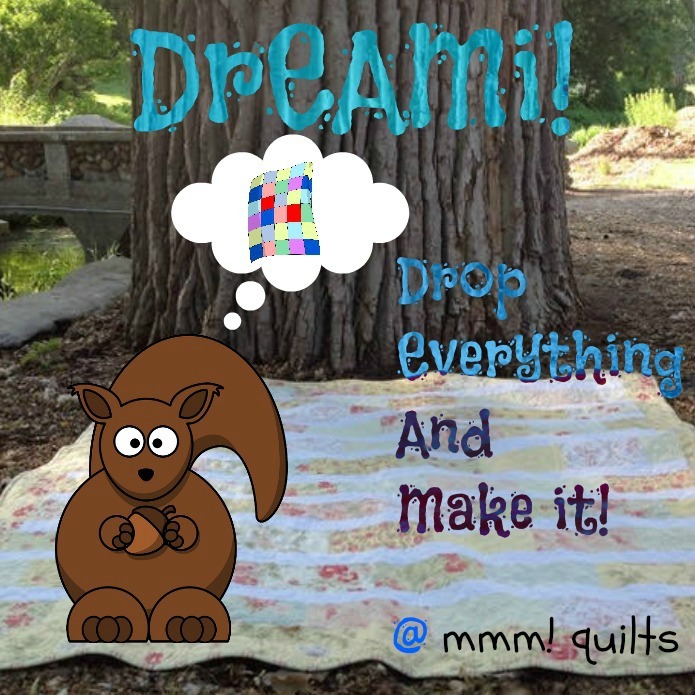 I just googled "Made by Marney" but didn't find a website for her. However, she is on Pinterest and Facebook. 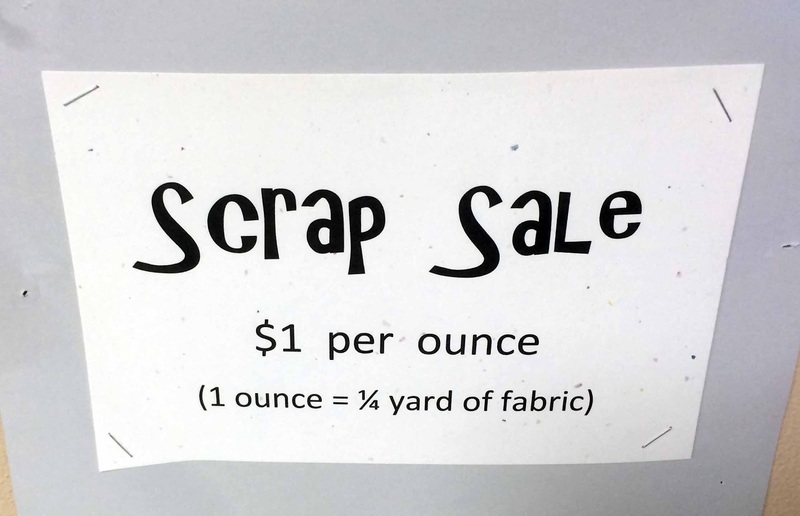 She had a ton of patterns in the shop, all paper-pieced, and all adorable. 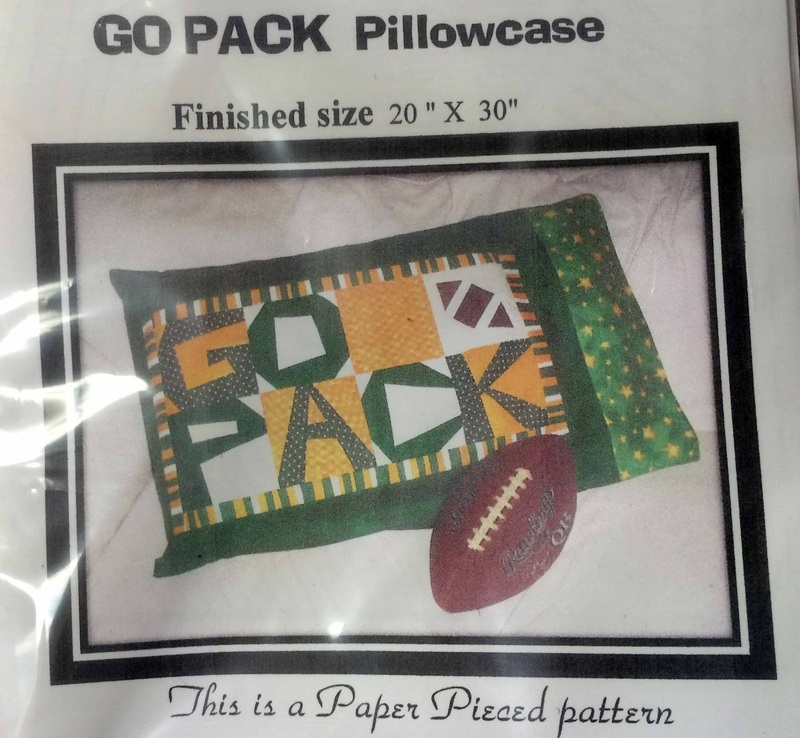 Here's her "Packers" pillowcase. And this being Green Bay Packers country, the Packers were well-represented. Also represented were the Chicago Bears and The University of Wisconsin Badgers. My walking buddy Sue hails from this area. I checked in with her about the UW mascot, Bucky Badger. Sue admitted to being old enough to remember this Bucky Badger t-shirt. Don't blame me. 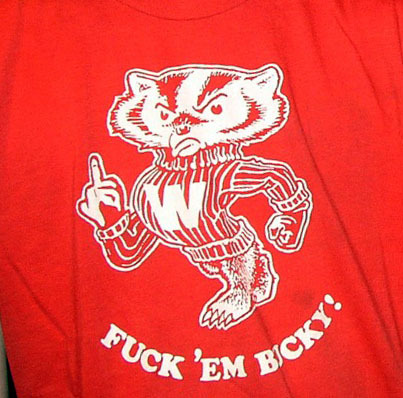 Be sure to notice which finger Bucky Badger is holding up in that image above. Too much. 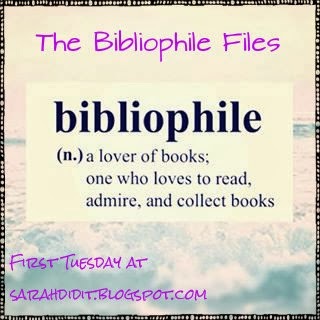 Thanks for the image, Sue! What a hoot. Ahem. (You know I love a good potty mouth joke.) 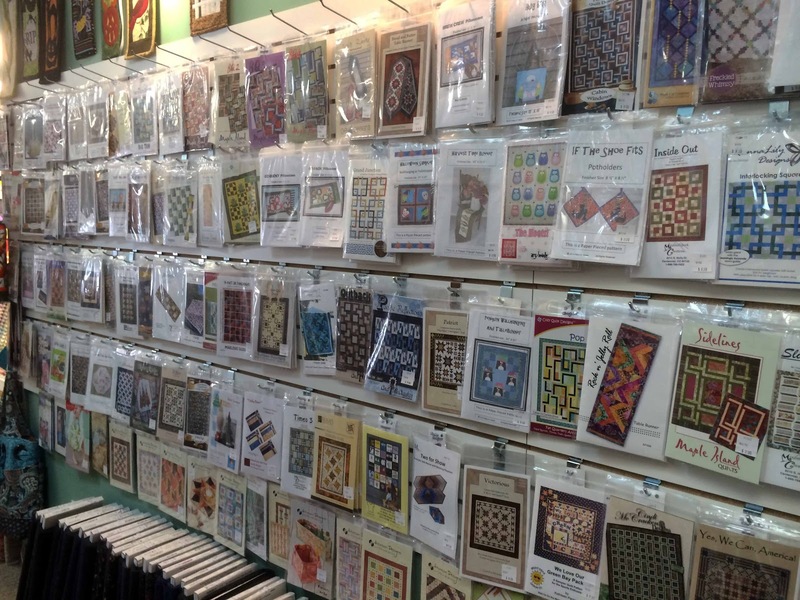 But to get back to the quilt shop, there was a whole wall of patterns. And more Patch Abilities banners. I really like these. And an entire room of flannel. 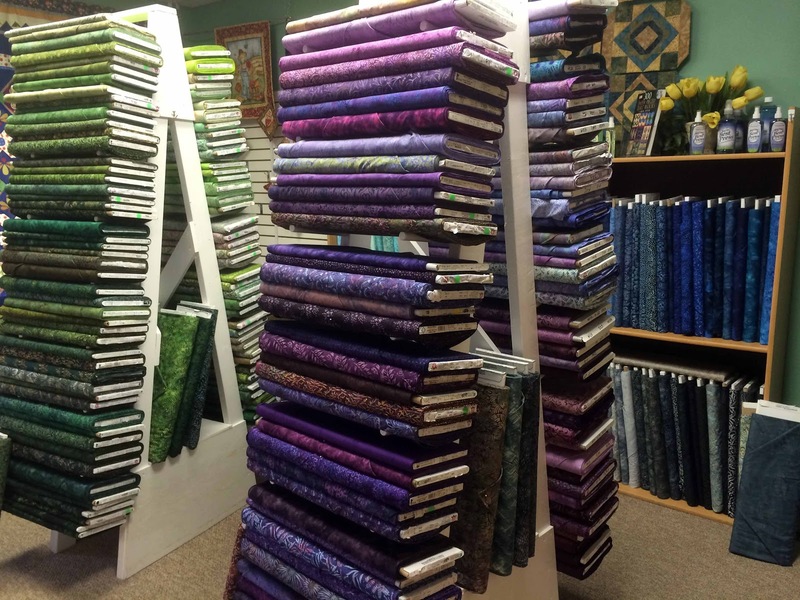 All of the quilt shops I've visited this trip have had good supplies of flannel. I guess flannel is sought after in these colder climes. Also in this room, I knew you vintage machine lovers would want to see this sewing machine. It was high over head, and so this is the best I could do photography-wise. In the back room, these shelves were 30% off. There was a chatty woman in the back who kind of drove me out of here. 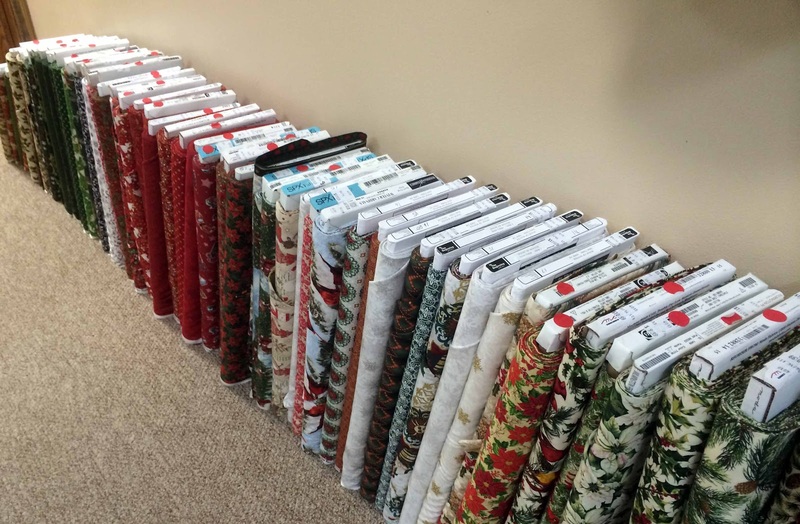 Otherwise, I'd have spent more time looking at these sale fabrics. Not that I'm a recluse or anything, but I was on serious shopping business. You understand, don't you? The sign seemed to be referring to the fabrics on these bolts. All the shops I've visited have their Christmas fabrics out, and this one was no exception. There are some pretty ones this year. Her regional fabrics were mostly of the animal kind, and so didn't really appeal to me...either that, or team sports for teams that I don't generally root for. Packers? Sorry. I'm a Seahawks girl all the way. And Badgers? You're gonna have to compete with the Oregon State Beavers for my affections. Anyway...I chose this one just because I liked it. 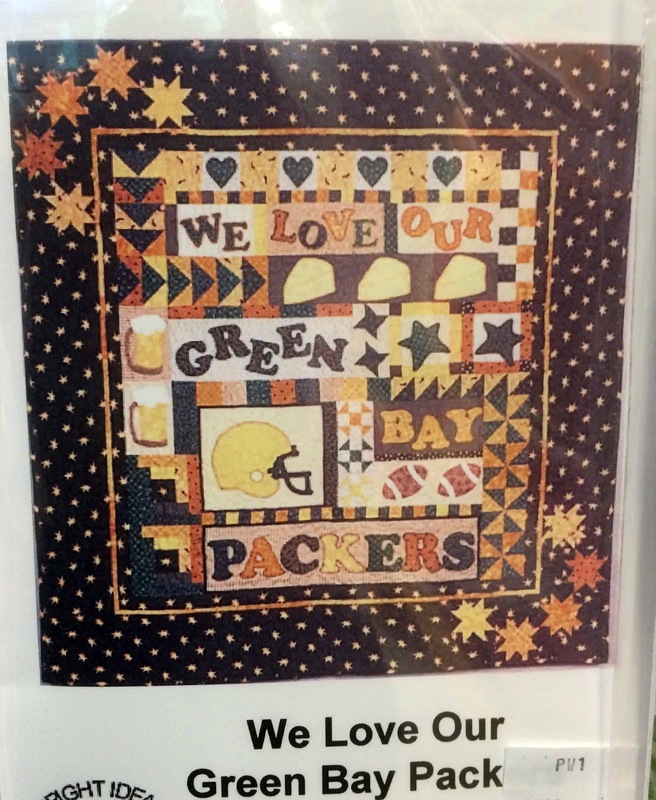 This being dairy land Wisconsin, I was hoping for something cow-related, and I found it in this wall-hanging Made by Marney. Isn't this cute? 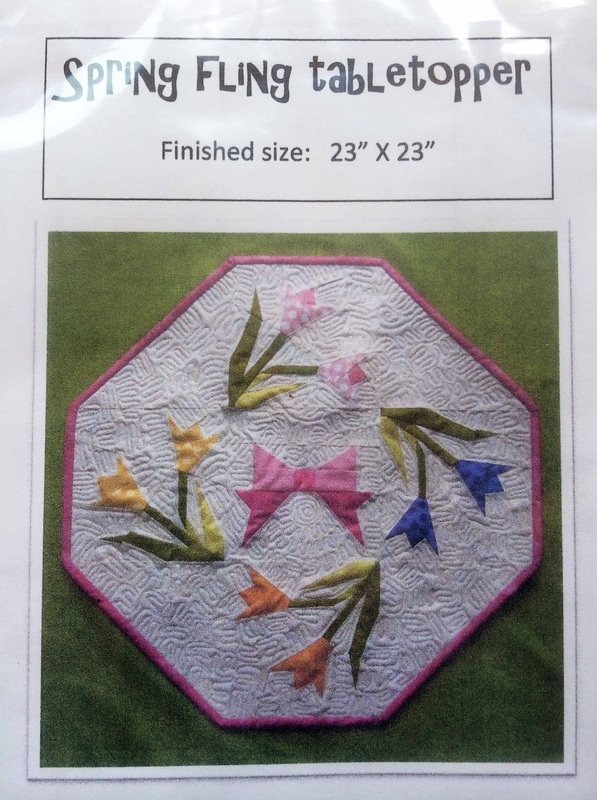 I have some great polka dot fabrics in my stash to use in this wall-hanging. and this Made by Marney tabletopper. Pretty for a spring table. It just might be the only way I'm going to have tulips in the spring since the deer love dining on mine when they bloom. Oh yes, and don't forget the squirrels who made a banquet of the bulbs a few summers ago. I really loved this store. It was larger than it appears from the front and the rooms of fabrics kept going and going and going. 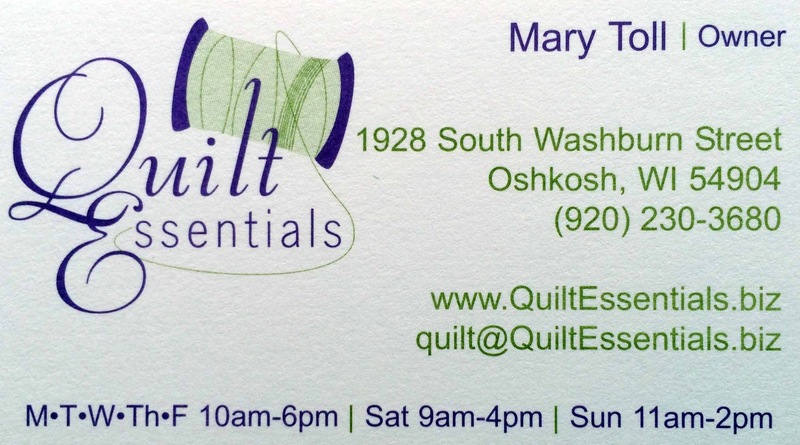 For its great supply of fabrics, Mary's friendly and welcoming demeanor, easy access from the highway, and nice big parking lot, I give Quilt Essentials my highest rating of five rotary cutters. 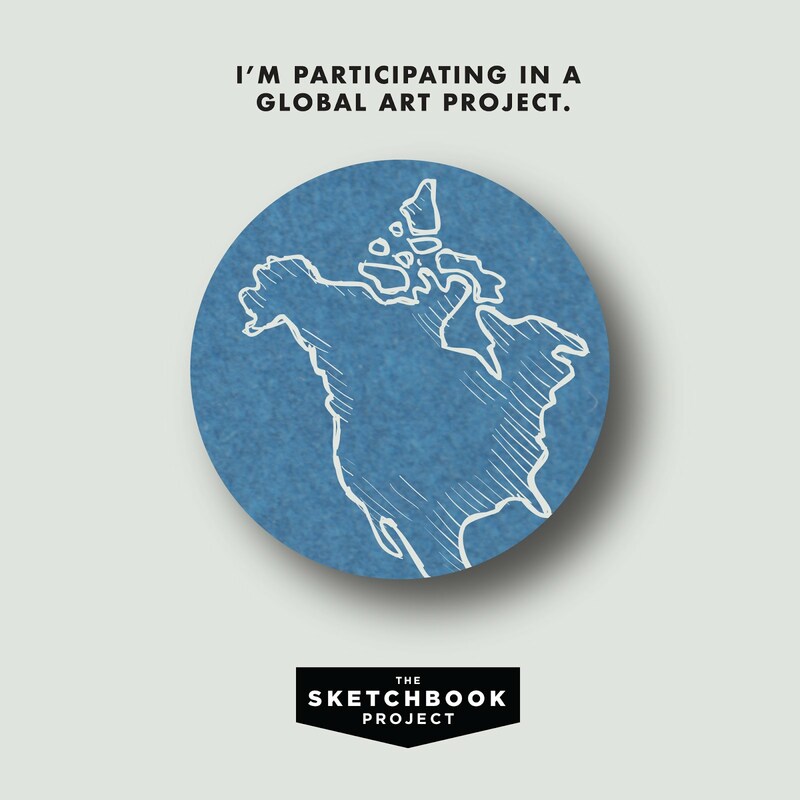 Don't miss it if you find yourself in Oshkosh, by gosh. *Disclaimer: Cat Patches accepts no advertising, nor any sponsorships. 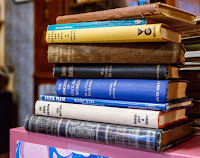 The opinions expressed on this blog are based on the personal impressions and perceptions of the author. They are formed on the basis of one short visit, on one day, and may or may not reflect the experience of others visiting on a different day. 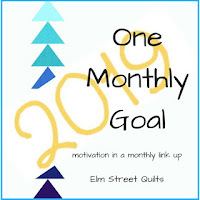 They are no more descriptive than a single snapshot image can be, and nothing written in a review of a quilt shop should be construed as objective fact. The reviews are strictly the author's subjective opinion and should not be interpreted as anything more. Oh I would have just had to buy a few of those polka dot fabrics that you showed. Polka dots and...BANANAS right off the bat! Lust at first sight!! 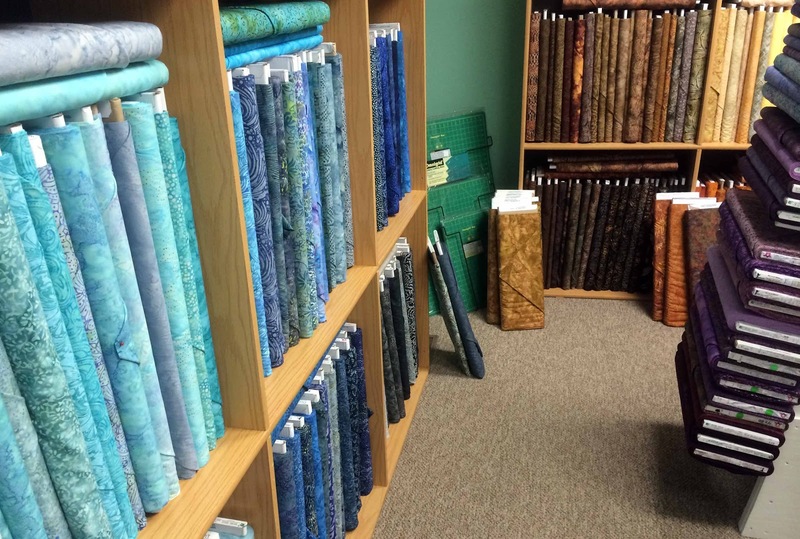 LOL And oh my did my heart go pitter pat at those shelves of turquoise batiks - yummmmm! 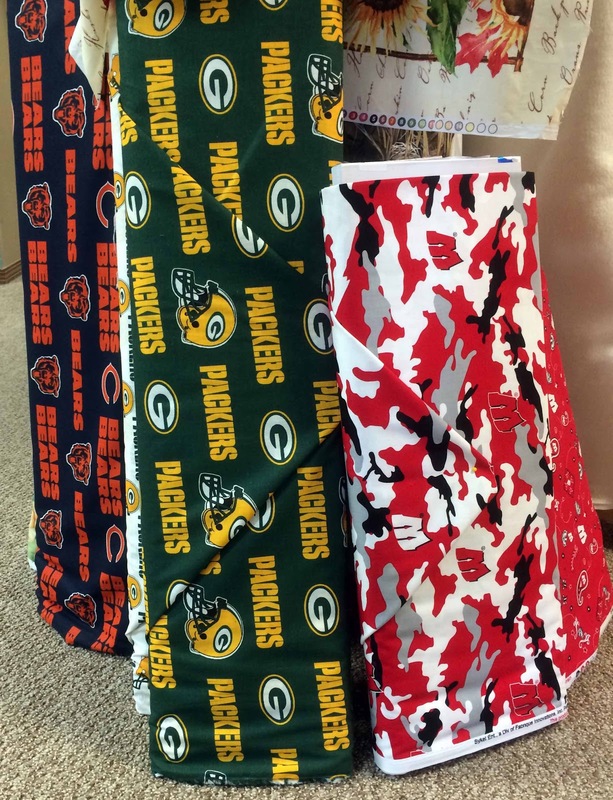 Maybe I'll do a web search for that Packers pillowcase - my friend Phyllis is a huge Pack fan (she's even a share-holder!). Thanks for sharing this shop with us, it looks wonderful! 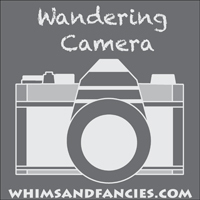 Deeply jealous of all your wonderful travels, AND with the kitties in tow. 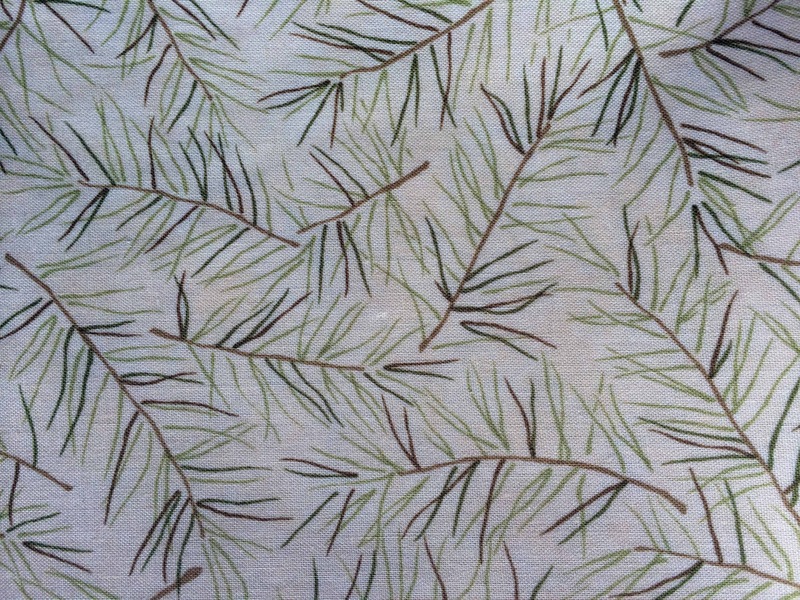 What a wonderful store and love the pine needle fabric you chose. The little cow piece is cute (my kind of buy). Looks like a great shop. I really love the Spring Fling Table Topper. So pretty with the pink binding. The machine is a Singer 66 with redeye decals. 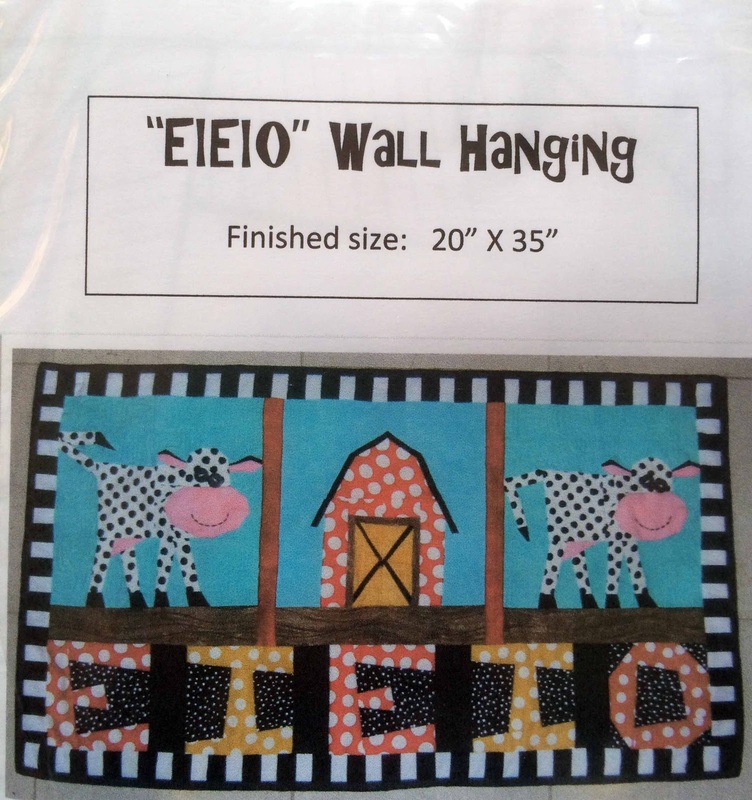 Love the EIEIO pattern. I can see you having a lot of fun with that one.